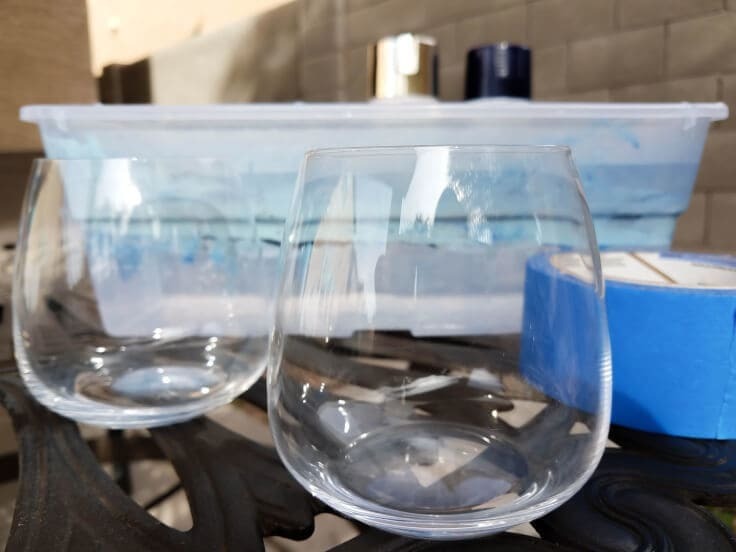 Upgrade your plain glasses into beautiful DIY marbleized wine glasses in 10 minutes with this easy tutorial. You probably already have everything you need. The holiday season is over, and you likely have more wine glasses now than you did before you hosted gatherings with all your friends and family. If you are anything like me you not only bought extra wine glasses, you likely received several more as gifts. Instead of shoving all those wine glasses into the back of your cabinet for the next holiday, it’s time to make them beautiful statement pieces that you will be excited to pull out each time you have company over. 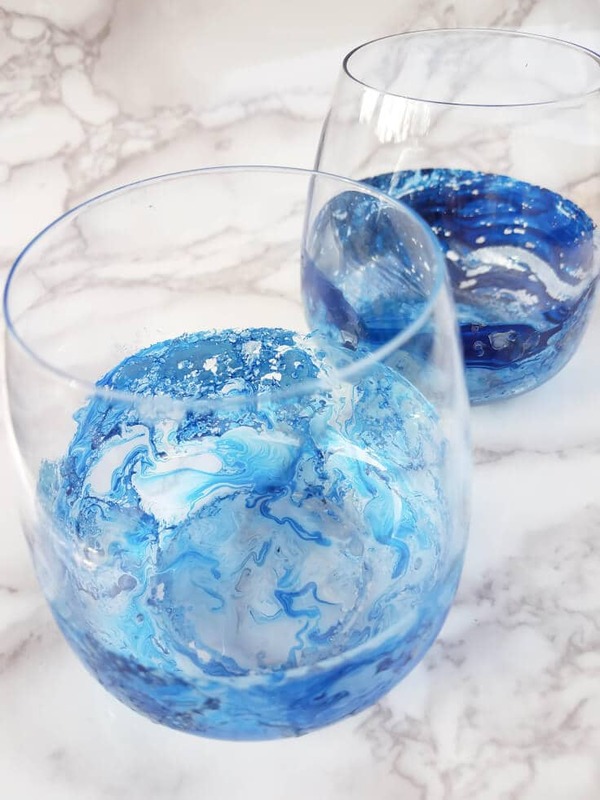 Today, we used a technique to marbleize our wine glasses. The end results were stunning, and now I want to marbleize all kinds of things. 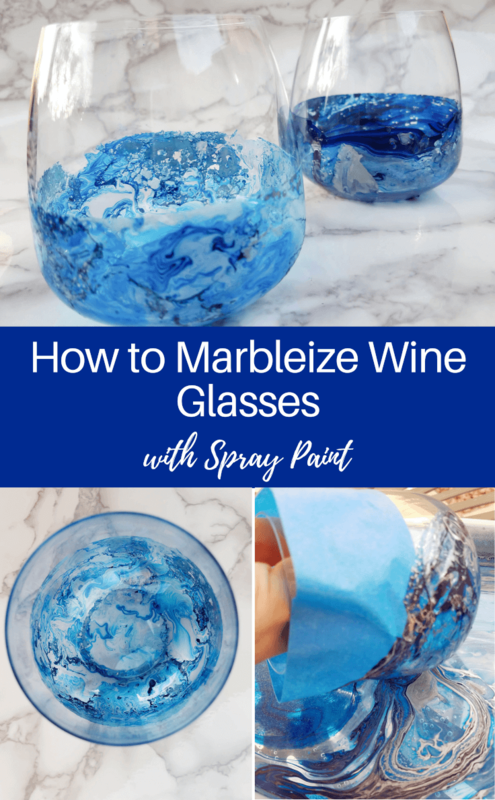 Marbleizing wine glasses is easy and can be done in about 10 minutes. You likely have everything at home. The first thing you want to do is tape off the portion of the glass you don’t want marbleized. I taped off the top half so that paint wouldn’t get on the lip. Next fill the container with water. Spray the water with spray paint or drizzle the nail polish in the water. Apply the paint in layers with the darkest being first and the lightest last. The paints will float on top and swirl. 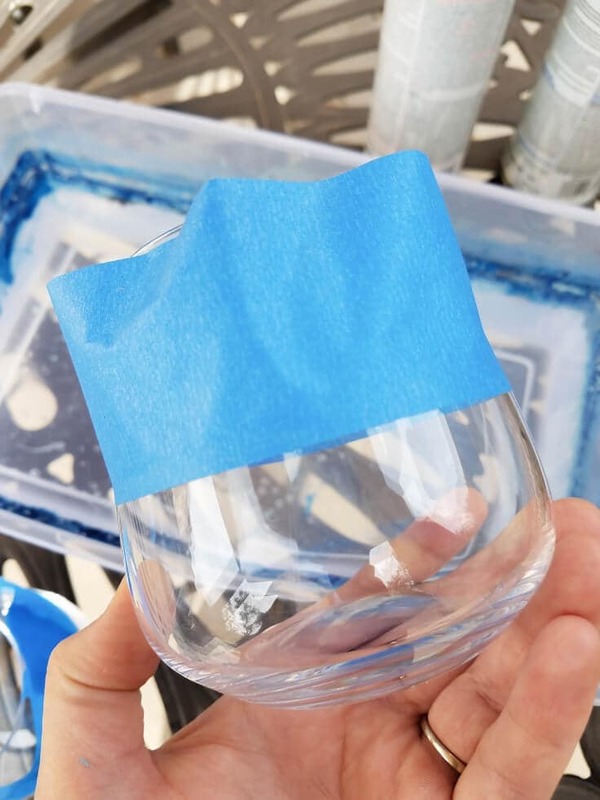 Roll your wine glass on the surface of the water to pick up the paint. Do not dip it all the way or the paint will not stick to the cup correctly. When the outside is covered let the glass dry upside down. Keep the tape on for about 10-15 minutes to protect the rim of the glass. Remove the tape and you have some pretty awesome wine glasses. Let it cure for about 28 days before using. I don’t know if it is dishwasher safe. Your best bet would be to hand wash it. If you can’t wait 28 days for it to cure, wait at least 48 hours for the paint to dry before using. Wash only the inside of the cup with a scrubber and keep out of the dishwasher until the cure period has passed. Never paint the lip of your glass unless you are using food grade paint, and even then be safe. I will be honest, the first glass I did turned out terrible. 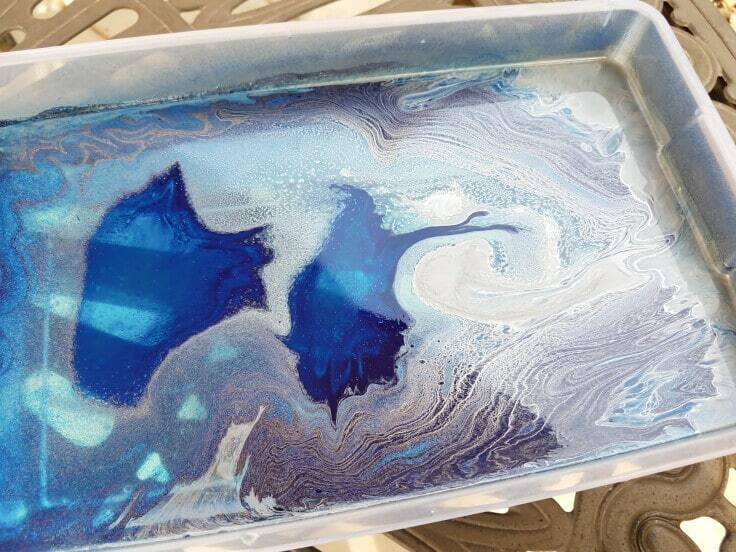 I took my time after spraying the paint in the water. 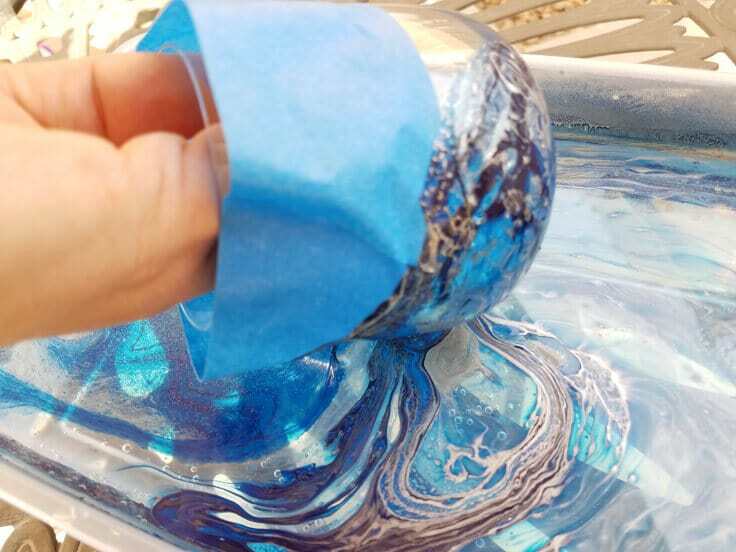 The first glass came out lumpy because the surface dried. Then I dipped the glass in the water instead of rolling it. So, move quickly and remember roll don’t dip. If you liked this idea, you may also enjoy this tutorial for how to marble a vase using nail polish. Rachel is a wife and mother of 4. 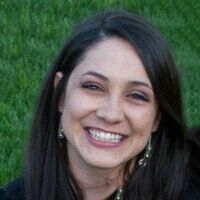 She loves working with power tools, yoga, coffee, wine, and dancing out of rhythm. 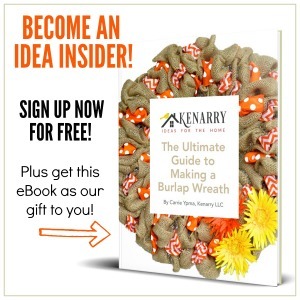 She has a passion for new ideas, healthy living, and being your best self. She’s the founder of HyperHypoMama and 2 Legit Media where she writes and creates videos on a variety of topics including business, wellness, parenting, crafts, and DIY projects.